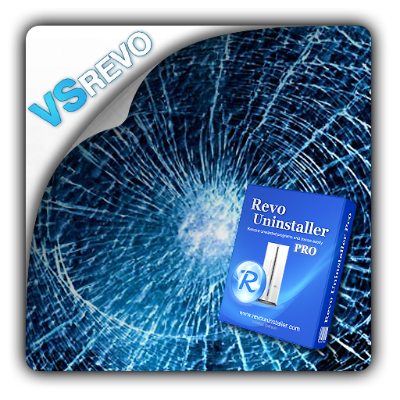 Revo Uninstaller Pro portable helps you to uninstall software and remove unwanted programs installed on your computer easily! Even if you have problems uninstalling and cannot uninstall them from “Windows Add or Remove Programs” control panel applet. The Uninstaller tool lists the installed programs and components for all and current user. With a choice of views, as well as a context menu, information on program components is available: program properties, their registry entries and links to manufacturer’s web site, for a start. The “Search” option finds installed applications just by typing the first few letters of their name. Revo Uninstaller scans before and after an uninstallation to find all files, folders and registry keys left behind by the program’s uninstaller. The primary feature of Revo Uninstaller is Hunter Mode. Revo Uninstaller Pro has a very powerful feature called Forced Uninstall. This feature allows you to remove leftovers of programs that are already uninstalled, incomplete installations and uninstall remnants of programs! It does not matter if the program, you want to remove, is not listed in Revo Uninstaller Pro or in Windows Add/Remove Programs Control Panel applet. Forced Uninstall gives power to the user but still keeps the safety and the accuracy of the results. Revo Uninstaller Pro has a feature that allows monitoring of installation of a program and detects system changes during that installation. The process is done in real time – simultaneously! This feature is very powerful because by monitoring system changes during the installation, we eliminate all the scanning algorithms when we need to uninstall that program and nevertheless we can still use these algorithms but in another feature called Forced Uninstall. This is a special, innovative feature of Revo uninstaller which indeed has two sub modes – Hunter mode and Drag and drop mode. These modes are giving you a flexibility to uninstall applications with one click (stop or delete) by simply dragging and dropping program icons to the Hunter icon or selecting their icon with the mouse cursor, whether it’s on the desktop, quick launch toolbar, in the system tray or the program’s window is open.